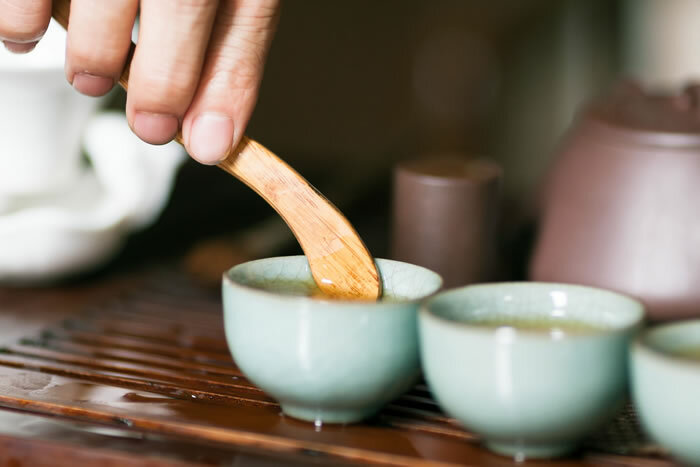 A maker prepares tea using the traditional Chinese method of serving called, “Gong Fu.” Tongs are used so that no hands touch the cups. An Yixing teapot manufacturer in Yixing, Jiangsu Province, China, shows off his wares. 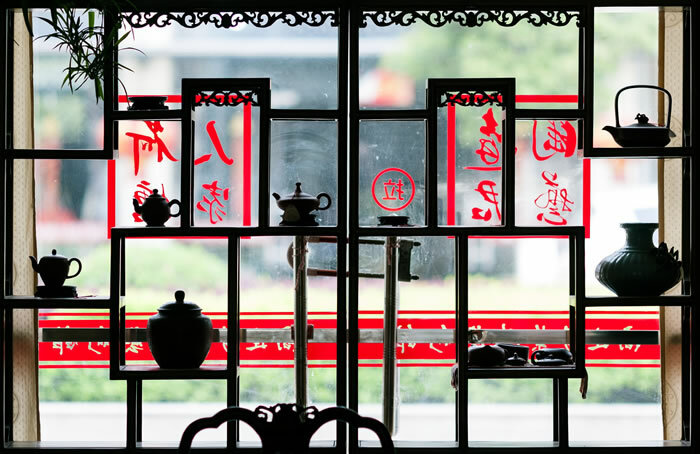 Yixing teapots made by famous master teapot makers can cost as much as $5,000. Workers in Suzhou, Jiangsu Province, pick through the day’s harvest and remove the wilted and broken leaves. The tea is then weighed and sold to the manufacturer. 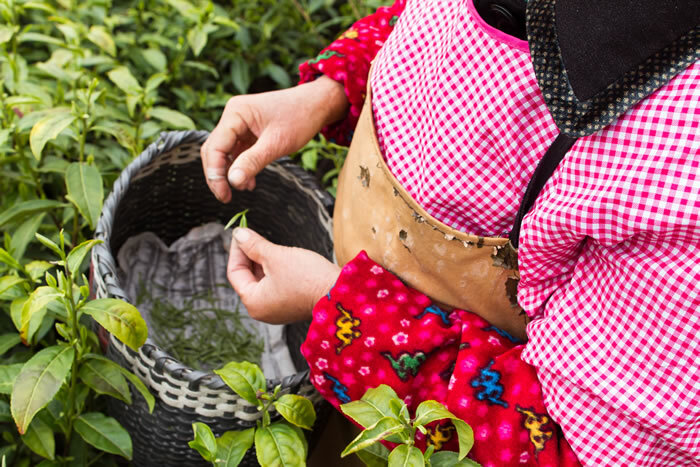 A tea picker, in Suzhou drops a freshly picked Camellia sinensis leaf and bud into her basket. These buds and leaves will be used to make green tea. 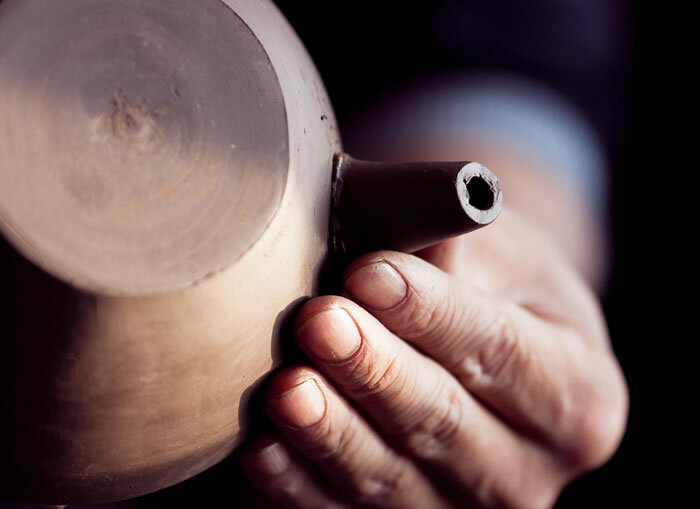 Master Joe, a master teapot maker in Yixing affixes the spout to an Yixing clay teapot using water and shaping tools. The inside of a traditional metal rolling machine at the Bi Lo Chun green tea factory in Dongshanzhen, Jiangsu Province. 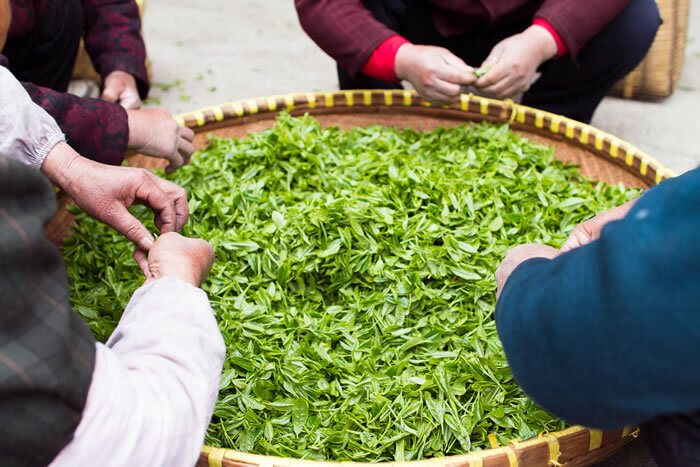 This machine spins the leaves, causing them to wrap around themselves, which gives this tea its distinctive coiled look. Tea leaves are panned in a flame-heated wok at the Bi Lo Chun green tea factory in Dongshanzhen. 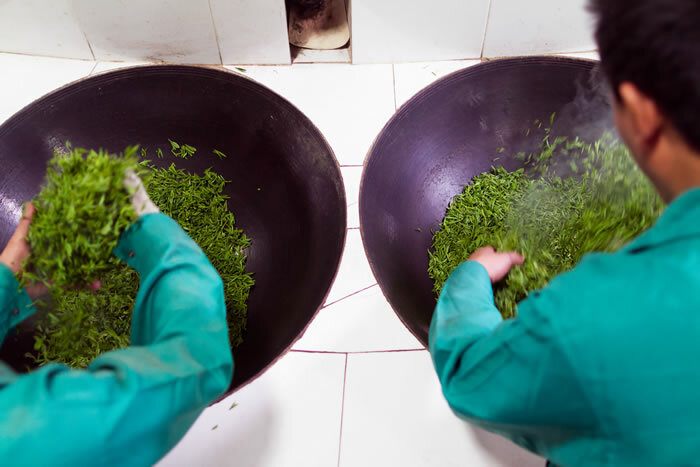 This process, called “Kill-Green,” is done to stop the oxidation of the tea leaf. A pair of workers arrive at an outdoor tea market. The workers bring their day’s pickings to sell at the market. 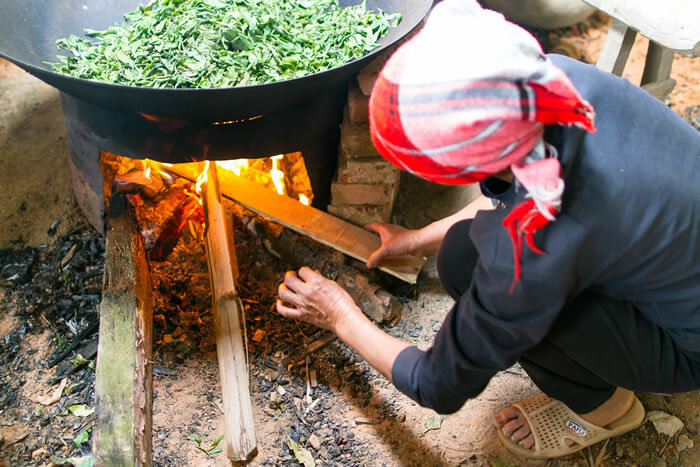 Tea leaves are panned in a flame-heated wok in Old Banzhang Village, Yunnan Province. 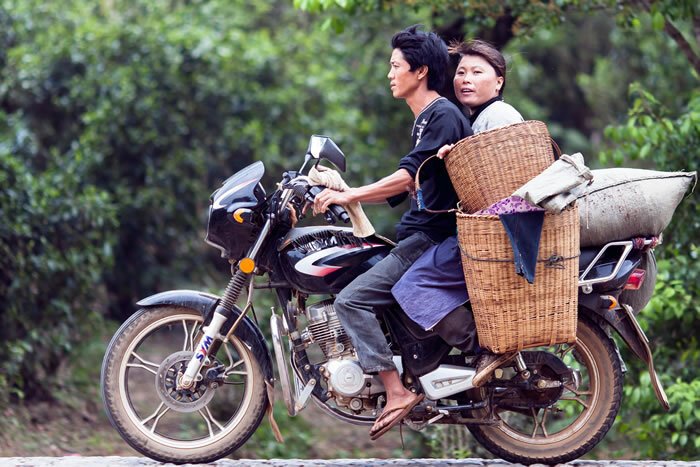 This remote village produces some of the finest Pu-erh in the world. Highly trained and well-paid workers tend to the tea crops at the government-operated Tea Research Institute in Menghai County, Yunnan Province. 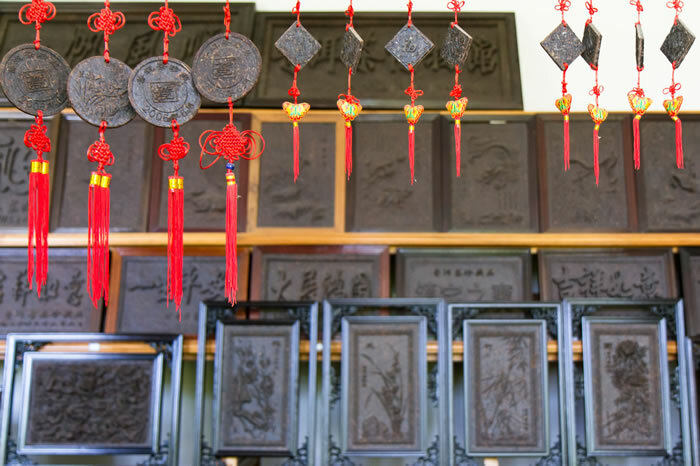 Display of various plaques and etchings made of pressed pu-erh tea. The pu-erh is compressed using a hydraulic press into various shapes and sizes. The tea can be broken off and steeped. 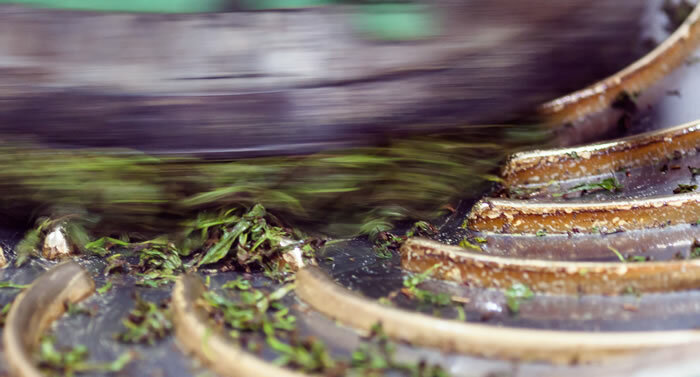 The clockwise spinning motion of this machine at a tea manufacturer in Wuyishan, Fujian Province, rolls the semi-dried tea, giving it its distinct tube shape. 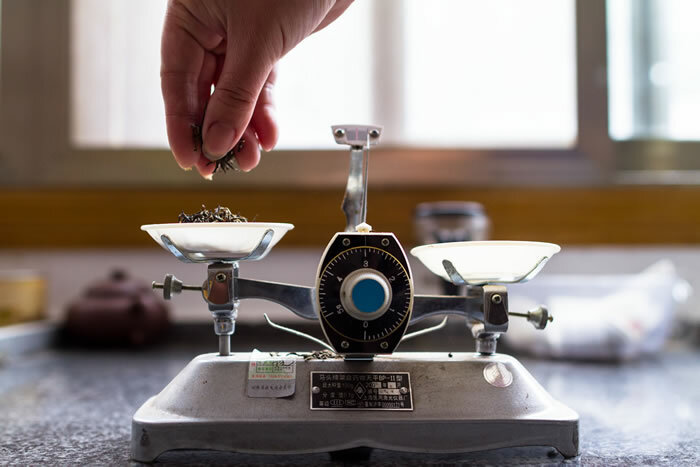 Three grams of Jin Jun Mei black tea are measured out in preparation for quality testing at this small tea manufacturer in Tong Mu Village, Fujian Province. The strict quality-control measures help to set market values and establish reputation. 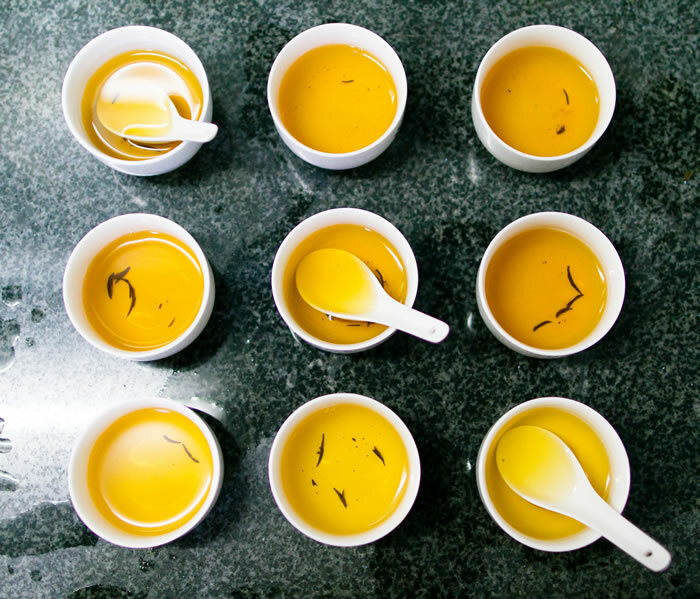 Three different steeps of three different grades of tea are set out as a quality-control worker prepares to test the quality of Jin Jun Mei tea in Tong Mu Village. 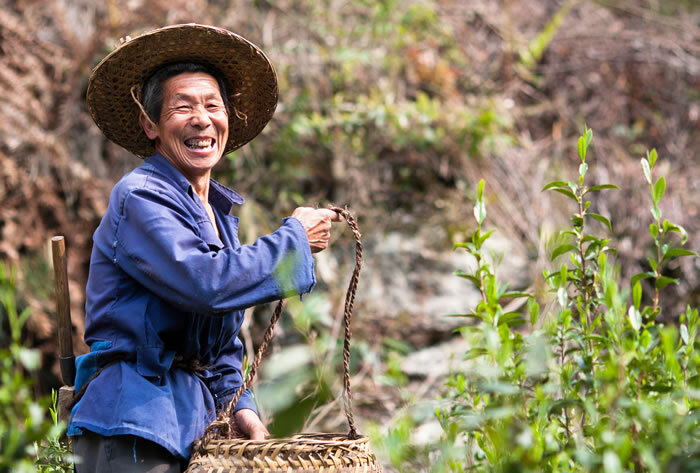 A worker smiles for the camera in the tea fields around Jinping, Fujian Province. The tea crop on the right gives a sense of the shape and size of Camellia sinensis. Matthew Wocks is currently studying journalism at Centennial College in Toronto. 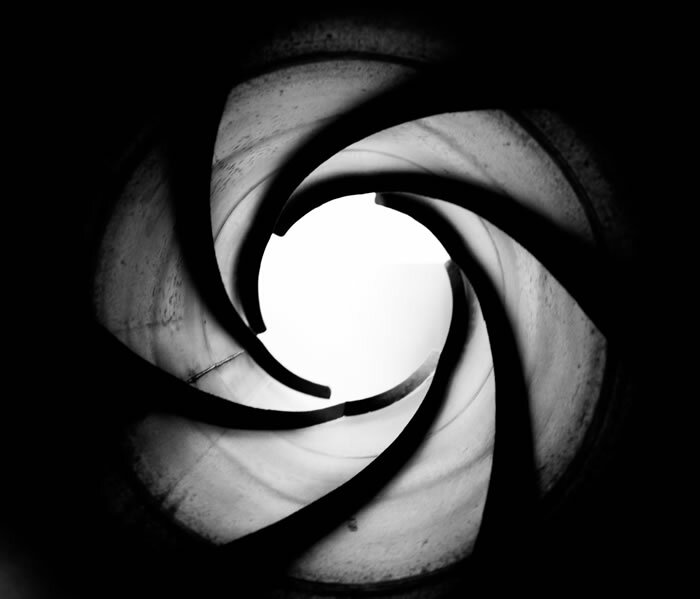 He has a background as a freelance cameraman and cinematographer, but his real passion is photography and loose leaf tea. 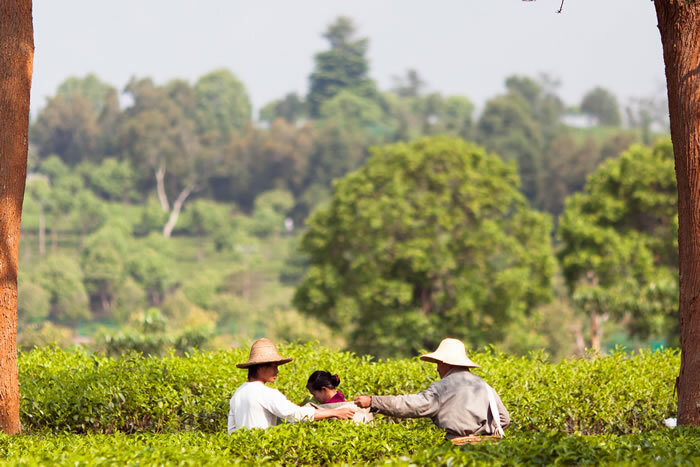 In April of 2011 Matthew joined a team of tea experts and travelled the China countryside for 19 days.